Wind, waves--and a broken boat oar--force four teenagers from the suburbs into a saltwater swamp. There, they struggle to survive while constantly getting sidetracked in conversation. Th-is comical adventure also becomes a fiery debate between two types of teens: ones who dream to make a difference and those who never dare to be different. 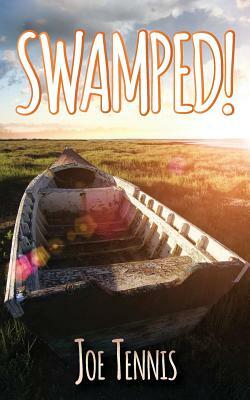 "Swamped " is a story of ending up in a difficult situation and learning to deal with people you may not know very well. It's a hiking tale, too, and loaded with dialogue. It also a first-person account by a character called "Apple Jelly" -- a 16-year-old who comes of age as the plot thickens and the story unfolds.